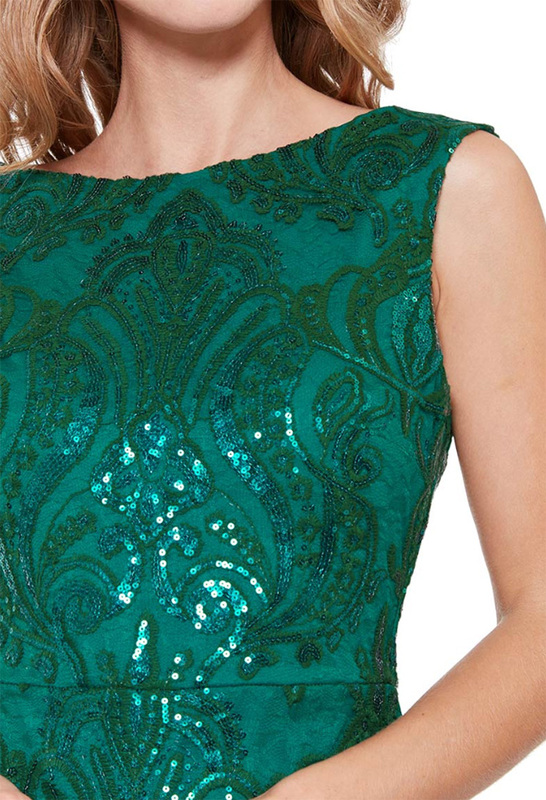 We at Alila HQ, are LOVING this gorgeous Emerald Sleeveless Sequin Embroidered Dress. We at Alila HQ, are LOVING this gorgeous Emerald Sleeveless Sequin Embroidered Dress. This dress has a scoop neckline with a V shape back. We find this neckline to be so flattering on any Shape or Size. As well as the V shape at the back, it also has a concealed zip, which gives a seamless effect to the gown.